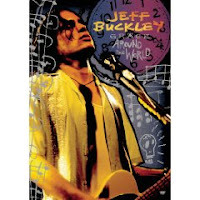 Atlas and the Anchor: Contest: Jeff Buckley - "Grace Around The World"
In celebration of the life of the great Jeff Buckley and to commemorate the 15th anniversary of the release of his debut, Grace, a new DVD/CD set called, Grace Around The World was released earlier this month. It includes live versions of "Hallelujah", "Grace" and "Last Goodbye" as they were performed on various radio shows around the world and versions from MTV appearances. Atlas and the Anchor has a prize pack including the Grace Around The World set and a limited edition t-shirt! Just sign up for Jeff Buckley's official newsletter here: mailto:newsletter@jeffbuckley.com then shoot me an email here: atlasandtheanchor@hotmail.com letting me know you signed up for the newsletter, your shirt size, and your favorite Jeff Buckley song. One winner will be chosen on Friday, July 3rd and notified by email. Good Luck!